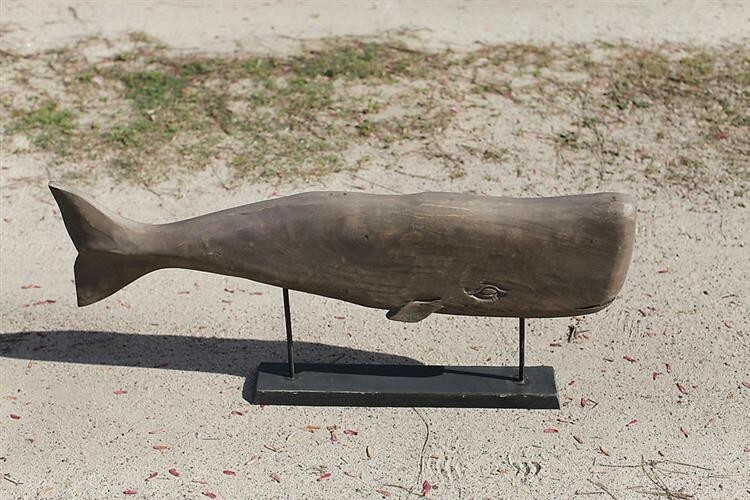 Whales embody the majesty of nature in all its forms. 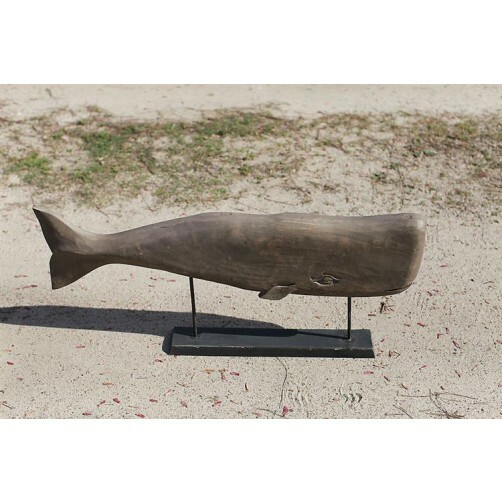 With gentle forms and impressive details, this hand carved whale is distressed mango wood on a wood and metal pedestal stand. 34"L x 8"D x 15.5"H 13.5lbs.